Description -- To better camouflage themselves as real Fire Nation citizens, the kids check out a Fire Nation school. Avatar dance special. Also, Zuko confronts Uncle. Even though I saw this on TurboNick on Wednsday, seeing the full quality was amazing. It really makes you appreciate just how fluent and detailed the animation is in this series. -Sokka was absolutely perfect in this episode. Enemy birds? Go to your room? WIN. Also, did anyone else pay attention to that shot that included a close up of CM's hand in the end? It looked like it was a claw made out of metal... at least to me. Keeper of Sokka's "Go to your room!" I totally loved this episode. I felt very sorry for uncle Iroh, but LOVED the silent treatment... and wow, Zuko finally admitted that he needs his advice. Maybe he's finally starting to get it that Iroh has been right all along? I hope he makes up with Iroh soon, he tends to do dumb things when he is acting on his own (the assassin is a good example here). I've been waiting to see what life's like in the fire nation for ages so you can probably tell that I really enjoyed this episode. It's good that we get to see that not all of the fire nation is evil and just how they get people to go and kill others for no reason. The lack of action didn't really bother me. I've never watched Avatar because of the fights, the spiritual part of bending and war and human relations were what got me hooked. I loved the Aang and Katara dance. It was just so exciting to see what you can do with kung fu and acrobatic jumps. I've been watching it over and over again. I think I've almost memorized it Makes me want to be able to do backflips... I think it's better if I don't try to do it though. I may get seriously hurt. And yes, seeing the real life of normal Fire Nation people really gives insight on them. It's different, seeing them as normal people, than a cruel, destructive nation. "My life will be CALM and HAPPY and JOYFUL!!" "What? Are you scared that the birds would hear us and tell the Fire lord?" "They're birds from the fire nation!! That makes them enemies!!" "I'm going to throw a dance party, so then everyone here can learn to be a bit more free." "Hello, I am Wang Fire and she is..."
"You know Sokka, you can take off that beard now..."
"I can't, It's glued onto my skin"
You know what the best choice for a side kick is? I watched it on TurboNick (I have no self-control) and I can't wait to see it on TV. If the animation looked so fluid and awesome on that little TurboNick window thingie, then it must look great on a big screen. - Aang looks absofrickinlutely adorable with that headband. Really, adorable. Uber adorable. - The fight with the bully was amazingly well animated. It reminded me of the fight with Zuko in his room in the ship in episode 102, sans airbending. Perfectly fluid Ba Gua. - The kids dancing were hilarious, especially Foamy's twin. Best line: "You're so beautiful when you hate the world." Awwwwww! The Aang/Katara dance sequence was one of the show's greatest moments ever. I'm sure once the action stuff kicks into gear we'll see a lot more of Toph. Thread seems a bit empty, since all the discussion has been made in "Spoilers" thread. I hope turbonick doesn't make such mistakes in the future. EDIT: And yes, I agree with IrohAmca. Even though I love getting things early, it leaves out the excitment of seeing it on the actual air date. Hopefully, Nick won't goof up again. When Sokka's happy, everyone's happy. When Sokka's unhappy, everyone's usually laughing. 'Toph' love? No that's good love baby. aka 'Rasputin': the Mad Monk discovered Buddhism! Oh man, this was such a fun episode. It's a welcome relief from the unmitigated ANGST of the premiere (which, while necessary for character development and setting up future events, did set things off on a major downer) and provided some frankly incredible fluent animation. It's like they had this episode planned just to show off their animators' skills. When Aang declared "Alright! Everybody freestyle! ", you can tell that was a signal to the animators as much as to the dancing Fire Nation schoolkids. And the schoolkids...I loved the way this show drew you into the life of the Fire Nation at its most sympathetic point. No needless exposition, since a lot of what you needed to know was implicit in the episode's storyline...and expressed through dance. The Fire Nation is a dynamic, expressive, emotional people, who have had their energies channelled into the support and maintenance of an authoritarian junta determined to rule the world. All Aang is doing is reminding them of the people they used to be, the people that Aang remembered...and allow Aang to feel like a normal kid again, just for once. That was a subtle and believable touch. All I wished was that it lasted longer. But, well, hard to argue with a 23-minute time limit. I was impressed how they managed to fit in some important development for Zuko too. He's confused right now, in that he has everything he wanted but is slowly realising that the thing he wanted was a hopeless mirage. He feels trapped and paranoid, and in need of guidance...but he doesn't know how, or why. And now he's decided that everything's not perfect because the Avatar is still alive. I'm hankering for more again. But this was an improvement over the unevenness of the last episode. A very well-crafted and spell-binding spectacle. I gave it an 8. Rao Seng Pu Ting's Book 3: Fire. 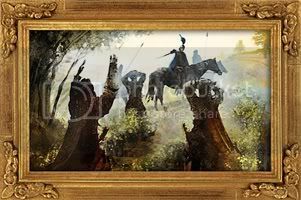 His Dream Of Skyland. AU. The Far East, June 1940. Did you guys recgonize the part after Aang says "let's free style"? It's pretty familiar. Proud Anti-Shipper - More Story Less Soap Opera! I enjoyed watching this episode . over and over. The best was the dance. I squealed. "I don't hate you too" . hehehe to funny. so silly those 2. Zuko needs some sense smacked into him. seriously. Now I wonder the the gAang is heading to. Can't wait for the next one. that one guys was totally dacning like Bryan! that kid remember! bryan did socrazy dance at SDCC! man! man...that as so funny. Bryan looks a whole lot better when he dances though. i say 9.99999 because of the Maikoness/Kataangness. i am a still poud Zutarian and Taanger. there was a cute Taang moment at the end! i'm going to a dance tomorrow so i hope i learned some moves from this episode! Leaves from the vine............Secret tunnel! I give it a 10/10 for originality,creativity,humor,and for just being really good. That episode was really the most unique out of all the episodes. I just wish I could see the next episode now! ("That's it no more school for you young man!" Sadly my signature is not longer working. It was Death Note and it was so cute and I am so hurt because i've had it for so many years. I absolutely loved this episode. It was so full of win. Kataang - ADORABLE!!!! I never cared much for them before but now, I was totally rooting for them. Their dance scene was absolutely breathtaking. Maiko - Most people hated it, I thought it was great. Yeah, the dialog was corny but it worked for me for some reason. To me, Zuko and Mai act like a couple at ease with each other. They can poke fun at each other or make sarcastic comments, knowing that the other gets them. I've seen plenty of couples like that. Heck, I used to be like that too. So yeah, all is cool with Maiko IMO. Zuko - Truly stuck between a rock and a hard place. I really pity him - he finally has everything he always wanted but it's nothing like he imagined it'd be. Seeing him yell at Iroh was heartbreaking. I don't really get why Zuko doesn't just apologize. I bet if he did, Iroh would speak to him. Mai - A lot of folks complained about how easily she followed Azula's orders and some even claim she and Azula are plotting against Zuko. I think both claims are wrong. Unlike Zuko, Mai knows when to pick her battles. She knew that this wasn't worth getting on Azula's bad side for. However, judging by the glare she gave Azula before she left, I think Mai will only follow Azula for so long before choosing her way. Azula - You look out for Zuko? b***h please. I bet her reasoning is 'You wouldn't fall from grace until I wish it so'. The 'Combustion Man' - I'm looking forward to seeing what this guy will do. He looks totally badass! Toph - I DEMAND MORE TOPH!!!!! Quite frankly, I'm getting really annoyed with how little screen time Toph has been given lately. Sometimes, you'd almost forget she is part of the team. Momo and Appa almost get more attention than she does. She is blind, not mute!!! So give her some more lines/action, thank you. Fire Nation kids and dance - I thought the dance was great. Tho I suspect that they copied some character designs. At first glance, I could've sworn I saw Meng in the crowd. Later on, I discovered it was a boy but he really did look a lot like Meng. Another student looked like Foaming-Mouth Guy tho seeing him do freestyle dancing was awesome. In short, this episode totally rocked. Zuko is so selfish! First he goes to his uncle crying for advice then he leaves all angry and calls him crazy. He goes back with chicken and he doesn't even ask if his uncle is ok or if he wants anything. He only gave the chicken because he wanted advice in exchange. After betraying his uncle he still wants advice beacuse he is loosing his mind and he wants his uncle to fix it for him because that's what his uncle always did for him. Then he leaves and makes his uncle cry. I was so sad when I saw that part. I've never seen Iroh look so hurt before. :'( Zuko says he will fix the problem himself (for once) and he hires a crazy tatoo killer! I don't know about you but I think Zuko just got really desperate. Zuko doesn't deserve Iroh. That's right I said it! But I still love Zuko's character. Yeah I know i'm weird. I think...I've become a shipper! Oh, but the enemy bird thing was funny. 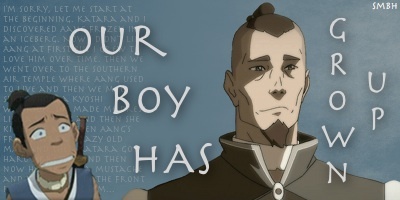 Aang's side of the story was fun and dandy. But Zuko's side is leaving me reeeeaaaalllyy desperate for his redemption and something happy....oh well, soon I guess. Much lighter ep after the season opener. Almost an exact oppositie ratio of fluff to seriousness from last week. And very good fluff too. The new outfits were a laugh, especially Katara's. They went out of their way to give her a whole new "hot" look. Well, it is the Fire Nation, after all. Sokka: Definitely on form. "Enemy Birds!" "Go to your room." The whole parent-teacher interview. Especially, "That's what I like to hear." Zuko & Mai: Get a room! Gee, teenagers. Can't keep their hands off each other. Notice they kept canoodling even after Azula broke the spell? They both defied her, until Azula sent Mai off to "help" Ty Lee. Finally, something stronger than Azula! And note the dirty look Mai gave Azula when she was sent on her way? Trouble brewing. "You're so beautiful when you hate the world." Jaw-droppingly funny. Even in love FN couples are warped. The whole FN school was brillant satire. Monster teachers, school yard bullies, oaths to the nation, noodle artwork of the beloved Fire Lord, mind-numbing conformity and slanted history books. Just like any school. But also a stunning display on how the FN takes ordinary, decent kids and turns them into the tools of tyranny. They're snobs even towards kids from their own colonies. And that whole "March of Civilization" theme. Very Orwellian tone. Aang's take down of the school bully was a classic fight scene. And Onji was very sweet. The dance. Damn kids and their rock and roll. Very subversive. Katara's "If that's what you like." She's definitely getting more and more open with her emotions for Aang. As for the dance the two shared, well, sum it up in one word. Sweaty! Very sweaty! The student revolt. There was a whole "I am Spartacus" thing going on. The interaction (or lack) of Zuko and Iroh was great. Something is building here. Zuko has everything he ever wanted, but it ain't enough. He's still fighting his conscious, but the darn thing just won't leave him alone. The hired gun is a last, desperate act of someone in denial, but it can't last. Zuko is one crisis away from a total meltdown. And the music! We've had hints in past episodes that FN people are musically inclined. Now they prove it. Big, big applause for the composer.